HissTank › G.I. Joe Vintage › 3.75″ Joe: Creating G.I.Joe: A Real American Hero Vol. 6 Kickstarter Is Live! 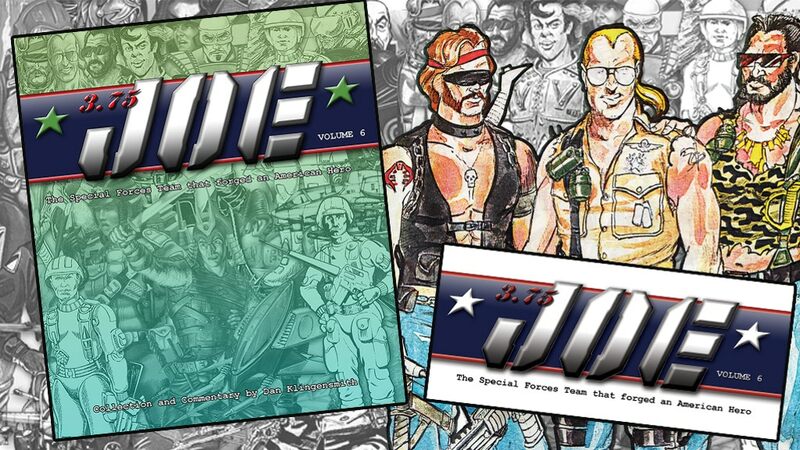 The 6th volume of the terrific series 3.75" Joe: Creating G.I.Joe: A Real American Hero has just launched on Kickstarter! <—Backer #34! Hop on board, peeps! What a surprise, didn't know you was working on another one. Can't wait to get it! Always looking forward to getting another volume ! Can you create and option for volumes 5&6 with two 11x17 prints? Somehow I missed volume 5. I see you have an option to combine it with 6 but no option to add prints separately. I backed as I am a huge fan of the series. I can't wait to see what exciting stuff is in this volume. I did back for prints as well, which will be my first. 2/3's funded! Everyone! We are so close to getting this funded! Share with anyone you can. Let's get this funded!